SENE Any Good Films Lately? Five years ago, Phil Capobres, Don Farias and Linda Dwyer decided to put together a film festival that wouldn’t be just another film festival. And so, Sl (SENE) was born and has been “bringing people together through film, music and art” ever since. Known for its all-encompassing festival, the SENE organization facilitates and participates in many events throughout the year here in Rhode Island. Their intention is “to cross-promote the works of filmmakers, musicians and artists to new audiences.” That’s the way it should be, really – artists from all mediums, backgrounds and hovels, working together for art’s sake. “We try to program something for everyone,” Capobres says. “By having film, music and art in a single festival, we’ve been very successful at bringing people from those three communities together.” The festival is 100 percent volunteer run with all donations going directly to producing programs and events as well as supporting the work of filmmakers, musicians and artists. 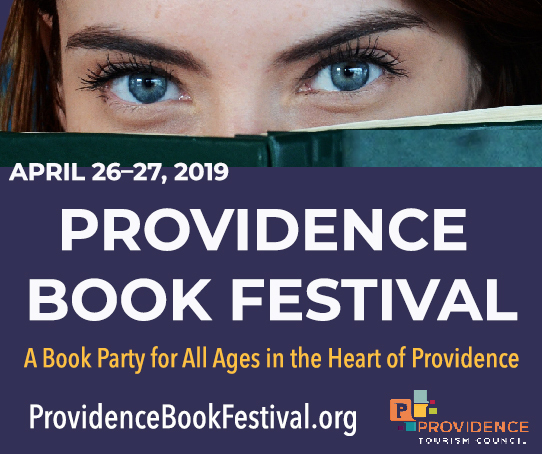 This year’s festival runs from Tuesday, April 23 through Sunday, April 28. Technically, though, the event already began on March 2 with the opening of an eight-week long juried art show at the Warwick Museum of Art. Titled Exploring Digital Arts, the exhibit explores how contemporary artists utilize digital technology. This event will conclude with the SENE Limelight Party & Art Exhibit on Thursday, April 25 where SENE will honor five individuals who are leaders in the film, music and arts communities in Southeast New England and who were also instrumental in helping launch the inaugural SENE Festival in April 2009. Honorees include: Daniel Kamil, owner of the Cable Car Cinema and Café, Toni-Ann Laprade, former SENE Festival board member and co-founder of Two Sisters’ Productions, Jim Vickers, former editor of Motif Magazine, Christian de Rezendes, president and founder of Breaking Branches Pictures and Carrie Decker, former SENE Creative Director. There will also be a special screening of the documentary Shut Up and Look, the story of Richard Artschwager, the 88-year-old American artist, on Tuesday, April 16 at the WMOA at 7pm. Producer Morning Slayter will be in attendance for this screening. General admission for film screenings is $10 ($8 for seniors, students and RIFC members). Admission to the Limelight Party & Art Reception on Thursday, April 25 is $20 ($15 for RIFC members). Tickets to the Closing Night Party are $10. For people planning to attend multiple events during the festival, SENE offers an All Access Pass for only $40. The pass allows you to attend the SENE Music Event, Limelight Party, Closing Party and as many film programs as your heart desires. Visit www.senefest.com or email info@senefest.com for more details.